KABAYAN, Benguet – The Cordillera office of the National Commission on Indigenous Peoples (NCIP-CAR) endorsed to the Department of Energy (DOE) the application for renewable energy registration and hydro service contracts of the Benguet Electric Cooperative (BENECO) for its proposed two miniydro projects along the Agno river and within the ancestral domain of the Indigenous Peoples (IPs) of the municipality. In his letter to Energy Secretary Alfonso Cusi, NCIP-CAR regional director Roland P. Calde stated that taking in totality the resolution of the IPs of Kabayan endorsing BENECO as their partner in the development of the natural resources within their ancestral domain, it is a perfect example of the exercise of the IP rights. BENECO is planning to put up a 10megawatt Agno River I hydro power generation facility projected along the Agno river at barangay Amlimay, Buguias and barangay Pacso, Kabayan and a 20-megawatt Agno River 2 hydroelectric power generation facility project located along Agno river at barangay Kabayan Barrio, barangay Anchokey and barangay Adaoay, Kabayan. Calde pointed out that the 2 hydro power generation projects were endorsed by the IPs of Kabayan through their first community resolution dated October 12, 2018 considering the fact that Kabayan is an ancestral domain of the Kalanguya, Ibaloi and Kankanaey IPs. “The endorsement therefore, of the indigenous peoples of Kabayan, Benguet to the application of BENECO is pursuant to their rights as enshrined under the provisions of Republic Act (RA) 8371 or the Indigenous Peoples Rights Act,” Calde stressed. He underscored that in connection with the rights of the IPs over their ancestral domain is the priority rights given to the IPs in the harvesting, extraction, development or exploitation of the natural resources within their ancestral domain aside from their inherent rights to self-governance and determination enshrined under the IPRA which mandates the State to guarantee the right of the IPs to freely pursue their economic, social and cultural development. Further, under NCIP Administrative Order No. 3, series of 2012 or the revised guidelines on the free prior informed consent and other related process, Section 52 grants the rights of the IPs to engage a partner in the development of natural resources within their ancestral domain. 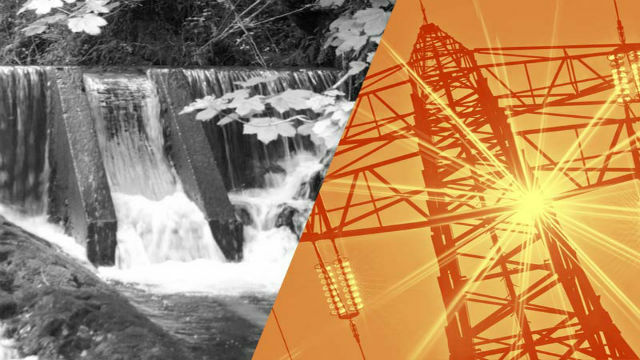 BENECO wants to tap the potential sources of hydro power within its franchise area to help in availing of the benefit of the presence of sources of renewable energy and to ensure the reduction of the cost of power being host to existing sources of hydro power. Earlier, the rural electric cooperative started implementating the construction of its 3-megawatt hydro power generation plant in Man-asok, Sebang, Buguias which was also endorsed by the IPs of Buguias who stand to benefit once the project will be completed. Beneco general manager Gerardo P. Verzosa emphasized the need for the cooperative to ensure the development of potential sources of renewable energy within its franchise area to guarantee that its power rates will remain to be one of the lowest in the country aside from being a potential source of hydro power that could be sold to the gird and contribute in efforts to further lower the power rates being charged by power distribution utilities to their consumers.